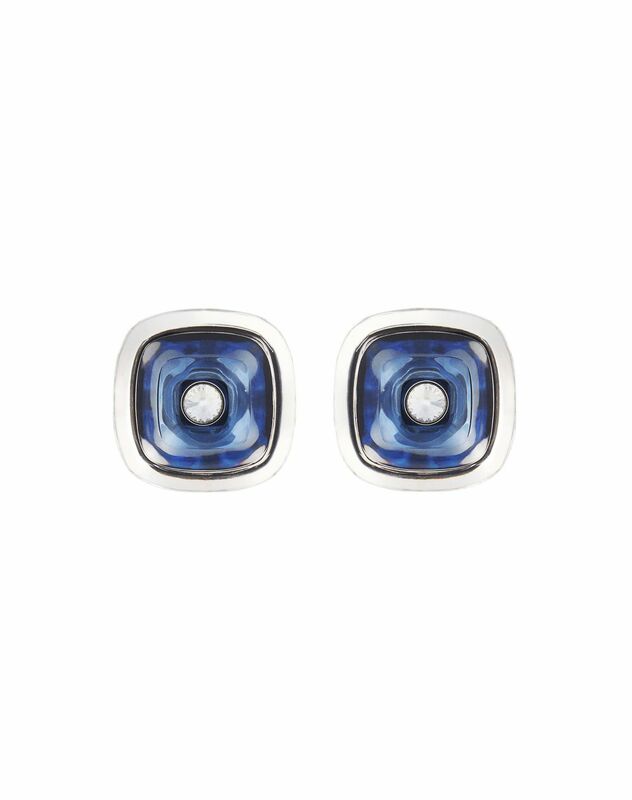 “Stilnovo” earrings in palladium-colored brass, layering of blue glass plates, and a clip back. 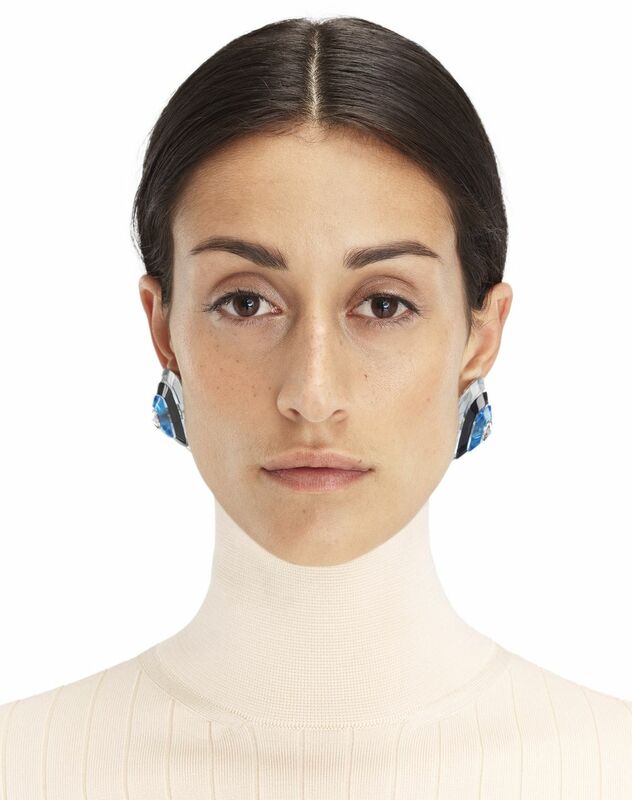 These blue earrings add a graphic touch to the Winter 2018 collection. 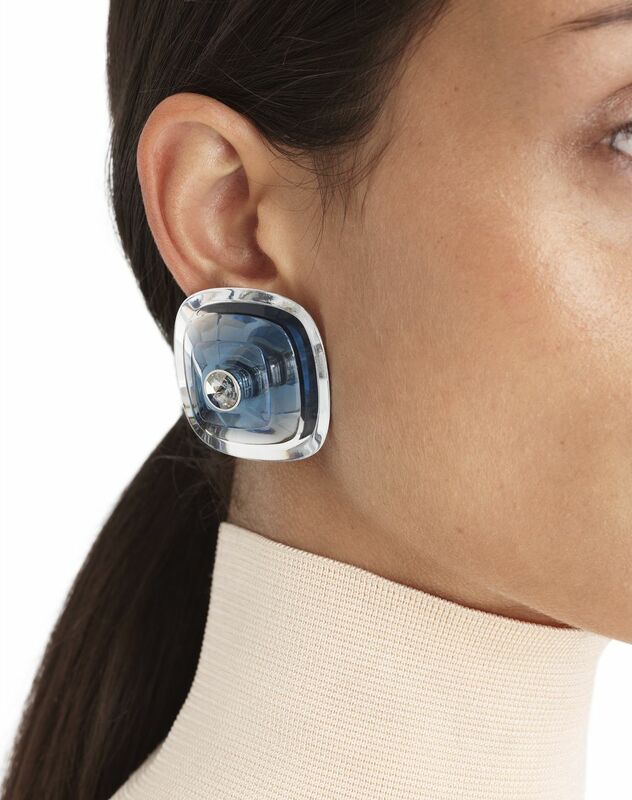 Perfect for both day and night, their futuristic look will embellish your outfit in an elegant, contemporary way. This piece was unveiled in look 05 of the women’s Winter 2018 show. Main material: 100% brass. Secondary material: 100% plexiglass Other materials: 100% glass Back: clip Made in France.